Welcome to the 2016/17 IP season here in Wasaga Beach. We hope you all had a great summer and are excited to hit the ice in early September! We are busy putting together a team of enthusiastic adults to work with our group of CHIPs this season. 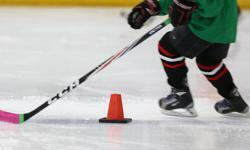 We will be teaching all our little ones the basic skill sets to become confident hockey players. Our goal is to teach them and watch them grow as the season matures but the most important thing is that they are having fun. The program is only successful if they are coming back to hockey the next season! Our first ice will be September 11, check back for more info later please.